Welcome to the Tuggerah OOSHC Website! Tuggerah Out of School Hours Care provides care to primary school aged children during school term and school holidays (except public holidays) at Tuggerah Primary School, 1 Pacific Highway, Tuggerah. Staff provide leisure and recreation-based programs, and children are offered a wide range of activities based on their interests. Tuggerah Out of School Hours Care services comply with the National Standards for Outside School Hours Care, and participate in the Outside School Hours Care Quality Assurance process. Find out more on our 'About Us' Page. Tuggerah OOSHC is auspiced by Berkeley Vale Neighbourhood Centre Inc. The BVNC Inc. Vision Statement is: 'To develop and build a safe, friendly environment by fostering & encouraging the cohesion & well-being of the members of the community within the Southern Lakes area, Wyong Shire'. Tuggerah OOSHC acknowledges the Darkinjung People who are the Traditional Custodians of this land and we pay respect to the Elders, both past and present, of the Darkinjung People. Child Care is conducted at Tuggerah Primary School, 1 Pacific Hwy, Tuggerah. We can be contacted at the School from 6.15 am to 8.45am in the morning, and from 2.15 pm to 6.15 pm in the evening. -You can call our mobile on 0410438858. -You can email us here at tooshc@bvnc.org.au. –4388 9611 on Fridays from 9 am to 4pm. -You can email Berkeley Vale Neighbourhood Centre at manager@bvnc.org.au. Berkeley Vale Neighbourhood Centre is located at The Berkeley Centre, 3 Heather Ave, Glenning Valley, NSW. Our postal address is P.O. Box 5145, Chittaway Bay, 2261. Vacation Care: 6.30am to 6pm. 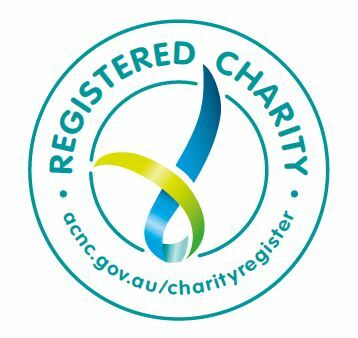 Tuggerah OOSHC is auspiced by Berkeley Vale Neighbourhood Centre Inc., which is a registered charity and a deductable gift recipient. BVNC Inc. also has an Authority to Fundraise Licence. The organisation’s Charitable Fundraising Number is CFN/24617. This website services Tuggerah OOSHC and Vacation Care and is published by Berkeley Vale Neighbourhood Centre Inc.